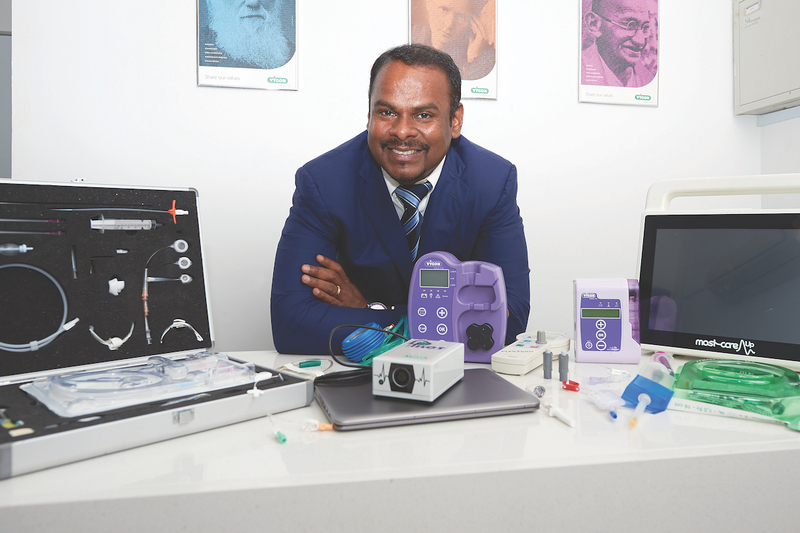 Asia–Oceanic Regional Director Thanapathy Kumaraiah epitomises Vygon’s vision of improving the lives of those suffering from serious conditions. Thanapathy Kumaraiah came from humble beginnings, where he had to work hard while earning his education. 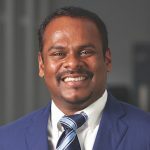 But it led him to a career that has spanned many regions, from India and Bangladesh to Malaysia, across to London and over to Australia, and now Singapore where he is based as the Asia-Oceanic Regional Director of Vygon. Perhaps his vast international exposure and dynamic approach is why he puts so much attention on education and training as the way forward for success in the healthcare industry. Since the healthcare manufacturer operates in an innovative, rapidly changing industry, the importance of a skilled, empowered, well-equipped workforce is obvious, and Thanapathy is determined to achieve this for Vygon. “I regularly invest in educating and training my team internally so that they’re motivated and aware of what’s going on,” Thanapathy explains. “I also share with them in a timely manner the challenges, opportunities and regulatory obstacles we have on a global perspective. The global manufacturer of single-use medical items was founded in 1962 by Belgian engineer Pierre Simonet, who’d been an industry innovator since World War II. At the time, the use of plastic to create these items was an inventive new approach which removed the need for time-consuming sterilisation of glass equipment. Today, Vygon’s catalogue facilitates essential medical procedures like enteral feeding, neonatal vascular access, intravenous therapy, critical care, emergency, respiratory, anaesthesia and oncological treatment. The company’s internal education initiative keeps the Vygon team up-to-date with the its capabilities and vision. Clinicians and other key opinion leaders from across the global medical industry facilitate these education programs in training centres around the Asia–Pacific region for the benefit of Vygon’s salespeople, equipping them with the latest research to ensure they can act as experts when dealing with prospective customers. But the most important tool provided to the Vygon team is the autonomy offered by Thanapathy’s own style of leadership. Contemporary management, he believes, is less autocratic and rigid, and more collaborative and dynamic, when compared to historical examples of leadership. 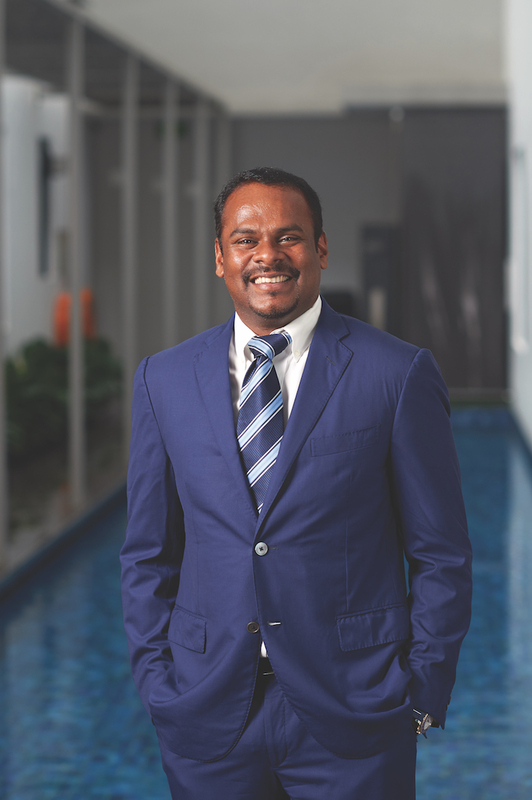 Thanapathy acknowledges his own boss, Christophe Deffontaines, Vygon’s Vice President of Asia–Pacific, who was instrumental in setting up the Vygon Asia subsidiary in Singapore, giving him “free reign to manage the bigger part of Asia-Oceania”. Thanapathy puts this into practice by encouraging an entrepreneurial mindset within his team. “Of course, we as leaders are accountable, but at the same time, I like my team to come up with their own ideas,” he says. “There’s no point in me telling employees what to do when I have good, strategic teams that can share new ideas with me which I can implement. Running a business is clearly a collaborative experience for Thanapathy, requiring exchanges of ideas and information. He believes the only way to make good decisions is to solicit input from his own team first, thus helping him address his own shortcomings. While critique might rankle some leaders, Thanapathy welcomes and enjoys constructive feedback. The Director takes a similar view of Vygon’s business partnerships – he wants to ensure the partners join the company on its journey into the future. “We must be transparent with our partners and give them confidence that Vygon is a family-owned business with a long-term vision,” Thanapathy says. It’s this attitude that has helped the manufacturer maintain profit and value creation within the Asia–Pacific region and globally, benefiting Vygon itself, as well as its partners and customers. In 2010, Vygon’s revenue stood at €245 million, and it’s now at around €330 million. Looking ahead, Thanapathy expects it to reach €500 million within the next few years. He also predicts sales in Asia–Pacific will triple by 2022, having already expanded by 250% in the past five years. This hope is not unfounded, given widespread appreciation of the company’s innovative development. Vygon has, for example, been rewarded with Singapore Business Review’s International Business Award for Pharmaceuticals. This is in recognition of products like Nutrisafe 2, an enteral feeding system specifically for infants, and Qimono, which allows safe handling of dangerous oncological drugs. But profit is not the only metric of success for Thanapathy, who just turned 40; contribution to society is equally important. “In Asia over the past decade, we have become actively involved, and we are growing,” he says. “It’s important for us to show that we care, so we’re running CSR initiatives. But CSR programs like these are only a drop in the ocean compared to the societal benefit affected by Vygon’s work. True to the pioneering vision of founder Pierre Simonet, Thanapathy himself remains driven by the potential to help others.